Overall, the pest industry has grown 2.4% to reach revenue of $14 billion in 2018, and the number of businesses has expanded by 2.2%. Rising demand and decreasing costs have led these businesses to make record-high profits—but with more companies in the field, pest control companies must be able to differentiate themselves from their competition to succeed. Responsible Pest Control, the premiere pest company operating in the Phoenix and Tucson areas of Arizona, offers exemplary service to over 7,000 clients it attends to each month. By providing fast and frequent communications via business text message, the company sets itself apart from other pest control businesses. However, the Responsible Pest Control team originally utilized legacy technology solutions, such as phone calls, to conduct company communications, which consumed time and added inefficiencies to their operations. Darin Huffaker, the manager in charge of day-to-day employee operations, realized there must be a better way to expediently and accurately coordinate appointments with clients and field service workers. After trying a few other services, he came across the business texting platform that filled that need—Heymarket. 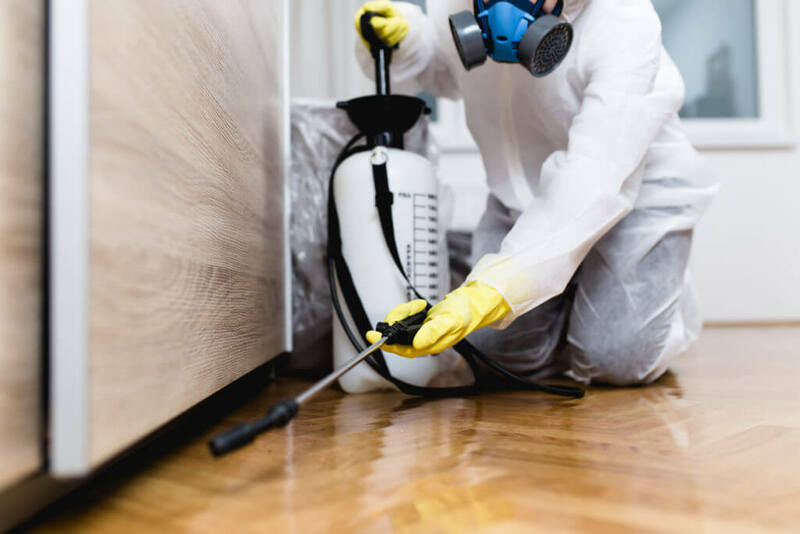 Even though Responsible Pest Control is a larger company, they strive to make clients feel as though they are working with a small team that has the time to put them first. To create this small-business environment, communication is key. Huffaker wanted to provide seamless and fast communications so clients could easily schedule appointments, receive home visit reminders, and send in queries about services. He wanted potential clients to receive quick answers to questions about services, and his technicians to easily coordinate with dispatch operations for scheduling, too. While email works well for in-depth queries and phone calls help provide a personal touch, Huffaker knew that business texting would be the best way for his team to provide services in a timely manner. However, his teams tested multiple texting platforms, and none were business-centric enough to satisfy their client service, sales, and marketing needs. Because his ten-person team was spread across the U.S., collaboration via email and phone was too slow for the virtual office, with agents really needing a seamless and real-time channel to provide exemplary service. After extensively researching business text messaging platforms, Huffaker came across Heymarket and decided to test it out. To provide continuity for loyal customers, the Heymarket team text-enabled Responsible Pest control’s existing business landline numbers while keeping voice services intact. After a fast onboarding experience and short learning curve, the Responsible Pest Control team adopted Heymarket’s business SMS platform. Huffaker noticed results soon after logging in. When clients text into any of the Responsible Pest Control numbers, their messages immediately appear in a shared inbox. Client service agents can quickly provide accurate, personalized, and expedient responses to these incoming customer messages. Customers are paired, automatically or through assignments, with client service agents best suited to address their concerns. With this, each agent can with the same set of customers over time. This kind of one-on-one service has led to great customer loyalty and referrals. Agents also use business text messaging to remind clients about upcoming services. By using templates with custom fields, they send individualized reminders to clients at a fast pace. Additionally, because agents can send convenient surveys via links over text, feedback comes in more regularly. Dispatch managers within control centers easily coordinate and communicate with technicians via text message as well. Technicians belong to their own lists within the system, and receive personalized scheduling details via mass text with custom fields. When a problem arises in the field, they can quickly text the number for support or clarification. Heymarket has helped increase sales, too. Potential clients opt in to text Responsible Pest Control about its offerings, and enjoy the fast, educated responses they receive. They can even book services over text, an added convenience that today’s consumer especially appreciates. Within the first month of using Heymarket’s business texting platform, Responsible Pest Control’s leadership began to see a drastic change in client service operations and overall business. The efficiency of texting via Heymarket has increased sales by 25%, helping Responsible Pest Control reach its goal of growing 20% year-over-year, far exceeding the industry norm. The business has seen drastically higher client satisfaction as well. Positive reviews have doubled. To top it all, the business-grade features of the Heymarket platform have lowered the amount of team labor by 25%, empowering agents to spend more time providing individualized attention to clients, following up with them on customer satisfaction, requesting reviews, and responding to in-depth queries. Heymarket has become a must-have for the Responsible Pest Control team, who now rely on the platform while their business expands. As Responsible Pest Control continues to thrive, Huffaker wants to explore Heymarket’s many integrations and features—especially those that Heymarket is building specifically for small business text messaging. As Responsible Pest Control discovered, small businesses that rely on home visits and services benefit from using business texting. To recap, here are some of the advantages that your business could experience. Business SMS improves sales. Responsible Pest Control saw a 25% increase in sales after allowing potential clients to text in questions about their services. Business SMS also improves client satisfaction. The Responsible Pest Control team received twice the amount of positive reviews once they could provide expedient, accurate, and reliable communications via SMS. Additionally, business SMS streamlines teamwork and operations. For Responsible Pest Control, improved coordination between team members lowered the amount of team labor by 25%. Do you manage dispatch and other operational services on a day-to-day basis? Learn more about using business SMS for dispatch and operations.